Ed Note: I missed the usual "immediate" part but better late than never. This version is also on the website. There's a shorter one too that I'll post when I find the file. We invite you to share this press release, this length or shorter with your local or campus newspaper and blogs. Broadsite it: go the traditional, low-tech broadsheet route: print it out and pin to the break room bulletin board. Slip it under doors anonymously... and wherever else your imagination takes you, the more original the better. Let us know where that takes you. Anything but just standing in line passively, waiting passively. National advocacy group, New Faculty Majority, launches campaign to assist jobless part-time, adjunct professors. (May 24, 2010) NFM announced a national campaign to help eligible adjunct college and university faculty obtain unemployment compensation in between academic terms. Many instructors don’t check to see whether they are eligible. Others are denied on grounds of having reasonable assurance of re-employment, a phrase in federal law whose invocation by postsecondary employers has been challenged, most successfully in California and Washington, by arguing that employment which depends on variables like enrollment, funding, and administrative prerogative cannot constitute reasonable assurance. Adjunct (also called contingent, contract, or non-tenure-track) faculty are professors and graduate teaching assistants who work term-to-term, often at multiple institutions. They constitute 73% of the postsecondary instructional workforce nationwide, numbering over one million. They have the same responsibilities to their students as full-time, tenure-track faculty, but usually work for a fraction of the per-course compensation, often without benefits or adequate professional support, increasingly while carrying the same or a heavier workload. Their ability to secure union support is often restricted. About adjunct unemployment, that is. The short version: plenty of action and spreading links around. I'm taking a clue from the Digital Humanities blogging community and blogging the tweets or rather the ones from searching "adjunct + unemployment," which yielded the biggest haul. Most but not all are via yesterday's Chronicle article, which include 21 comments as of 1st day's end, with surely more to come today. As for the article and commenters, supporters and trolls, I'll have more on that later as part on ongoing NFMUCI coverage. Now for visitors - and tweeters - to get past the article and to the Unemployment Compensation Initiative website. NFMUCI is short for both initiative and url, http://nfumuci.org as well as hashtag. 1. Today NFM is launching its Unemployment Compensation Initiative with the debut of its web site at www.nfmuci.org This initiative will provide adjunct and contingent faculty in all 50 states the information they need to apply for Unemployment Insurance (UI). In addition to providing practical assistance, this effort is the beginning of a data collection and public education effort. Even if you don't qualify for or need UI, we encourage you to spread the news of the initiative. A press release has been distributed nationally and will be posted here separately. If you know of a local newspaper, reporter or news outlet that should receive a copy of our news release, please advise Matt Williams, NFM's VP and Communications Committee Chair, at matt.williams@newfacultymajority.info. 2. We are grateful that all three faculty unions are supporting this initiative. If you are a union member, please urge your local to link to the initiative web site and to continue supporting NFM's activities with financial and in-kind assistance. 3. 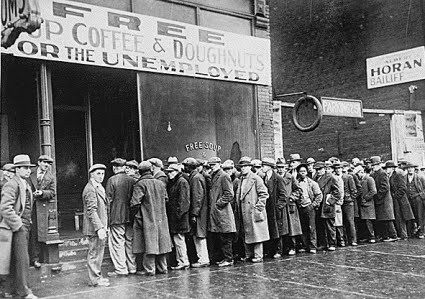 If you have any personal experience with Unemployment Insurance that you would like to share with us for an upcoming Newsletter, please send it to our newsletter co-editors, Ross Borden, ross.borden@newfacultymajority.info, or Tracy Donhardt, tracy.donhardt@newfacultymajority.info. 4. As always, please check in at our main web site (www.newfacultymajority.org) for news, updates, or to volunteer for any of our ongoing activities. Have you seen word•river review, a juried literary journal for adjuncts only, published yearly. Submissions are accepted year round, final deadline: October 31, 2010. Issues 1 & 2, Spring 2009 & 2010, can be ordered online. We define adjunct instructors as anyone teaching part-time or full-time under a semester or yearly contract, nationwide and in any discipline. Graduate students teaching under part-time contracts during the summer or who have used up their teaching assistant time and are teaching with adjunct contracts for the remainder of their graduate program also are eligible. Will conditions change if enough people become aware of the great disservice being done to students, our colleges, and contingent-academics workers? Will a fruitful triad of actions-litigation, local negotiation and lobbying of state representatives-tip the balance to remedy the conditions? We know the human impact of present policies. Now, do we laugh or do we cry? Abby Lynn Bogomolny, wherever you are: yes, we think so too. We're still working on it. Our written landscape continues to expand: adjunct blogs (not all are just for advocacy. organizing), online publications like Adjunct Nation and (often juried) group blogs with the non-tenured sharing masthead space with the tenured. Sage to Meadow is my ecological reflection about living with the land and people of the American Southwest. It encompasses historical narratives of the past and immediate present. The most important element in this blog is nature. The second most important element is humanity's presence in nature. The dynamic between the individual and nature is my focus. Wordsanctuary and Wordsanctuary Revisited, Maria Shine Stewart's two blogs. Surely. you've seen her her Adjunct ABC's / abcedarium renderings on the Contingent Faculty Email List, in Bosquet's Brainstorm column, or on Raye Robertson's The Adjunct Voice. xtranormal’s mission is to bring movie-making to the people. Everyone watches movies and we believe everyone can make movies. Movie-making, short and long, online and on-screen, private and public, will be the most important communications process of the 21st century... Our revolutionary approach to movie-making builds on an almost universally held skill—typing. You type something; we turn it into a movie. On the web and on the desktop. Example: Can I have an extension? "One of our ____ is missing!" is such a movies of the week title, isn't it? But yes, one of "our" adjunct blogs is missing. MIA. It is not "our" (pertaining to NFM) or even mine in the sense of my being the owner/ publisher/ writer. I wouldn't mind misplacing one of those, but they all have their addresses tattooed on their foreheads and know where they live. So, you may ask, if it's not yours, what's the story and what does it have to do with adjuncts, contingents, ad/cons or whatever we are calling ourselves or have been exhorted to call ourselves this week? Easy... adjuncts write blogs. 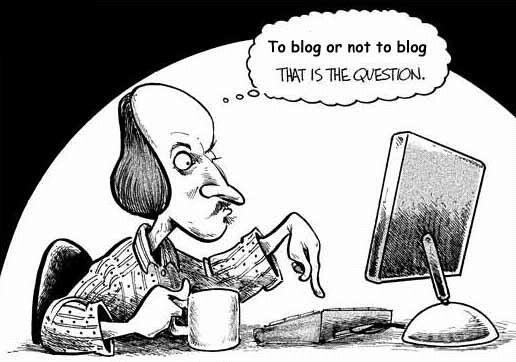 All manner of blogs, of such variety that the term "adjunct blog" is misleading. It's not a subject category like a "mom blog" (although adjuncts who are moms write those) or a "foodie blog." No doubt there are also ones written by adjuncts. I hope to add examples to my adjunct blogroll. Do you remember my call for adjunct blogs? A few months or so back, I started bookmarking them with the tag "adjunct-blog" and combed my bookmarks for blogs tagged both "adjunct" and "blog." Many but not all so tagged would be adjunct blogs. Some of the best blog coverage of adjunct issues is by tenured faculty, former adjuncts more likely associate than full. I shouldn't need to remind you what safeguards tenure and academic freedom are for a cheeky blogger. Otherwise, however, blogging is an ideal medium for adjuncts: the price is right and it can be done anonymously. Beltway Blips covers the Twitterverse reception of "Confessions of a Tenured Professor" by NFM Board member Peter DG Brown. Coverage (including my tweet on those same tweets) is ongoing, updated as new tweets appear ... Visit, vote, share, link.... let's keep this going viral and in the mainstream social media, not just buried in the academic press. If I'd blogged the article as planned and expected when it came out, we'd have missed this. As good as the article is, and good it is, the reaction, commentary, comments, blog posts, tweets, shared links, and so on complete the story... Please join the conversation by adding your comments. Sunday night - or would that be Monday morning - blogkeeping? No, even after midnight, Auntie Mame would still call it Sunday night, middle of the night hours away. Blogkeeping is catching up odds and ends. Kalte Ente by any other name. I intended to introduce a column for personal reflections so I don't lose my voice in midst of adjunct faculty advocacy, NFM stuff, relevant news and recycled content. I waited too long and now it's deck clearing time. Such are the wages of procrastination. What's coming and what needs clearing out of the way? Today's teleconference board meeting focused on NFM's soon to to be rolled out for our 2010 BIG and multi-tiered initiative: adjunct unemployment compensation. Briefly, the first wave gets out information on filing and emphasizes encouraging as many contingent faculty to file as possible. Following stages will address gathering more information on filing experiences state by state and ultimately advocating for legislative change at state and federal levels. On the way there, however, we must all become as well informed as possible. Here's the message: Graduate assistants deserve good health care and raises, and the union security all other CMU unions have. Also, democracy requires that ALL adjuncts be allowed to vote in the union election. Already sent Ross a letter? Send him another one. He didn't pay enough attention to the first one.